Chevron Corporation has named Clay Neff president of Chevron Africa and Latin America Exploration and Production, effective January 1, 2017. Neff, succeeds Ali Moshiri, who will retire from Chevron after 38 years of distinguished service, effective April 1, 2017, consistent with the company’s mandatory retirement policy. Neff, who is currently managing director of Chevron’s Nigeria Mid-Africa Business Unit, will oversee Chevron’s exploration and production activities in 15 countries across Africa and Latin America. 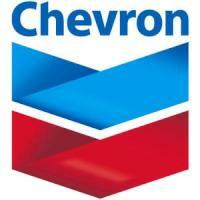 In his new role, Neff will report to Jay Johnson, Chevron’s executive vice president, Upstream. In his current role, Neff is responsible for Chevron’s upstream operations in Nigeria and West Africa. He received his Bachelor’s degree in Petroleum Engineering from Louisiana State University in 1984 and joined Chevron the following year as a drilling engineer. Since then, he has held numerous engineering, operations, commercial and management positions of increasing responsibility in the United States, Angola and Nigeria. Neff is also the chairman of the board of trustees for the Foundation for Partnership Initiatives in the Niger Delta (PIND), chairman of the Oil Producers Trade Section of the Lagos Chamber of Commerce & Industry, and a member of the Society of Petroleum Engineers. Over the course of his career, Moshiri has developed significant operational and international experience. He has held key leadership roles throughout the enterprise, including manager of Petroleum and Facilities Engineering, general manager of Strategic Planning and Assets Evaluation for Chevron Overseas Petroleum, general manager and advisor to the vice chairman of the board of Chevron Corporation Exploration and Production, and managing director of Chevron Latin America Exploration and Production Company. “Clay’s broad operating experience, particularly in Africa, makes him highly qualified to lead these two key regions for our business,” says John Watson, Chevron’s chairman and CEO.